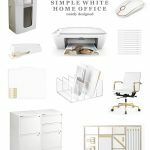 One of the most requested areas I am asked to organize is the home office. The first thing I notice as an organizer is the room has become a catchall for anything that does not have a home in the house. Stacks of papers are piled with good intentions to file but there is not a good filing system in place to prevent piles from forming. Like things are not together and there are so many items in the office that are never used that are taking up valuable space. This week on River City Live I talked about some of my favorite things to organize an office and where to begin especially when you are overwhelmed. 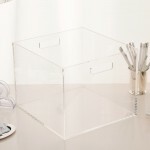 This file box from Russell + Hazel is perfect for a desk top, credenza or shelf. Its not too big but large enough to hold all your files. I love acrylic accessories because they are functional and look great. 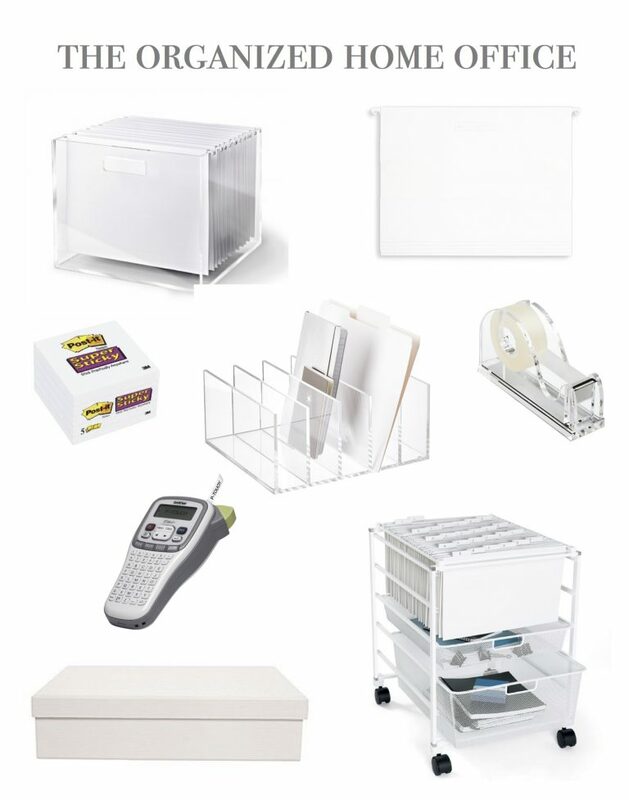 These white file folders are my go to especially when using acrylic file boxes. They give your office a neat clean look. They are hard to find so when I do find them I stock up. Anyone that has read my prior blogs knows I am a Post It note fan. I love an office with white accessories so when I found these in white I was thrilled. I order these on Amazon because they are not found in most office supply stores. Many of my clients are juggling a home business as well as running a home from one office. 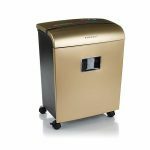 A collator keeps everything you need at your fingertips so you are not spending valuable time searching for important folders. If you are going to leave items out on your desk make sure it is something you use on a regular basis. This tape dispenser is one of my favorites. I can talk about labels makers all day because it is an invaluable tool to keep you organized. When you put things in boxes or containers and don’t label them you forget what you have and you buy more. Labeling saves money and time. Many of my clients buy label makers after they see me use mine and the feedback is always “how did I live without this”. 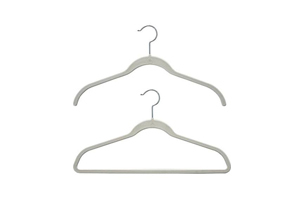 This is been an staple item I use when organizing home offices and I own one myself. I love this for small spaces because you can roll it into a closet or under a desk when you are not using it. The drawers keep all of your office supplies right where you need them which saves time. 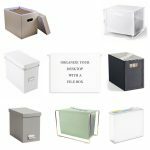 I use file boxes in an office for notepads, greeting cards, gift wrap and other items that you do not use on a regular basis but need organized. These Martha Stewart simple white boxes will get you organized and will look good stacked on a shelf. I label the outside of the boxes with these labels because if you don’t know what is in them you forget what you have and buy more. Sorry I had to say it again!